Q. Can you bring back the old coffee machine? Thank you for taking the time to complete a Library comments card. Please accept my apologies for the delay in my reply – this was an oversight on our part. 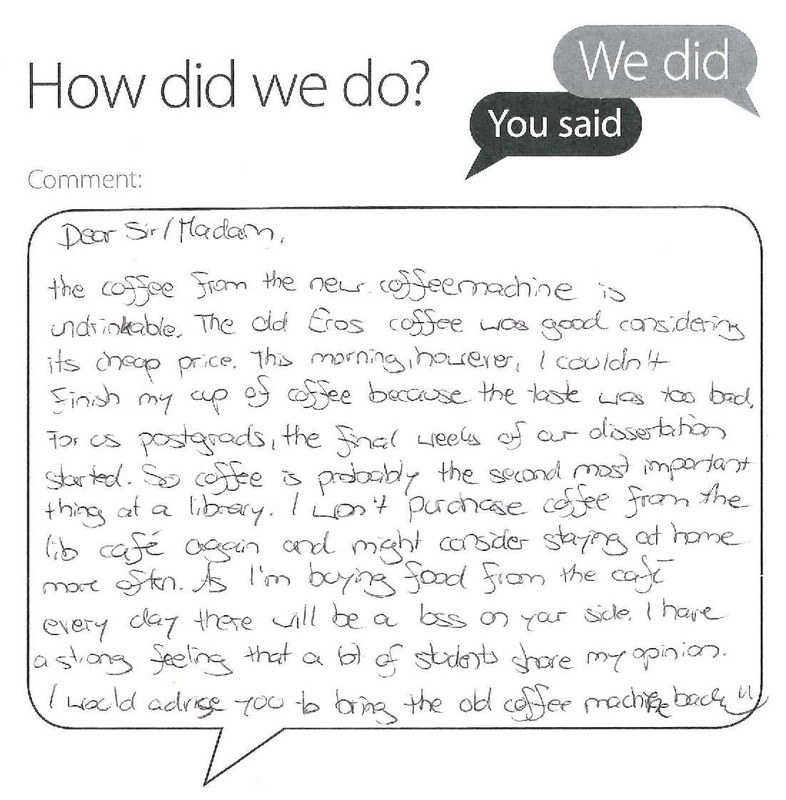 I’m sorry to hear that you are not enjoying the coffee from the new machine in the Library café and certainly disappointed to hear that you would consider staying away from the Library because of it. The café is run by colleagues in Residential and Business Services and I have passed your comments on to the manager responsible. I know all feedback on café products is welcomed and helps to inform the food and drink offer. Please do not hesitate to get back to me if you have any further comments or feedback.